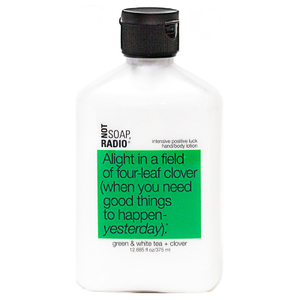 Not Soap Radio is a botanically based company which make sure their ingredients are locally sourced, cruelty free and free from harsh chemicals. This American based company once began as a small project two sisters could work on together which eventually turned bigger from the many ideas they came up with. The brand name derives from the punchline of a practical joke whereby the punch line has no relation to the body of the joke making it unfunny. This fun product which has been featured in Vogue and Marie Claire prides itself on not taking yourself too seriously. This is highlighted in their products and packaging which are interactive and a conversation starter. 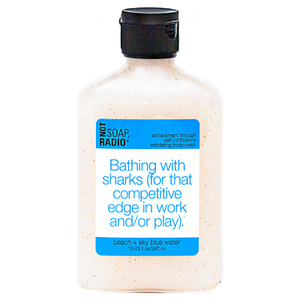 This bath and body range has many different scented products from lemons to lavender making it diverse and unique. 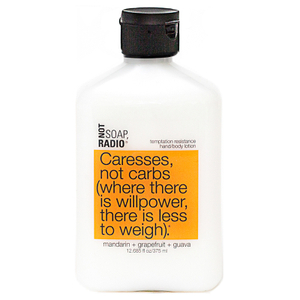 Their product inspiration came from when the Cabot sisters spent time when they were children creating bath products out of soap and selling the concoctions. 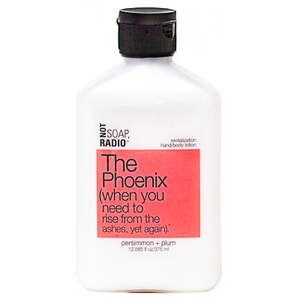 Revitalize your body with Not Soap Radio, When Life Gives You One Too Many Lemons (And You’ve Misplaced Your Happy Place…) bath and shower gel. This uplifting gel is infused with the scent of lemons which encourages positive feelings and the bright yellow color of the product will certainly banish your bad mood. This product is high in vitamin E from the aloe vera found in the gel. 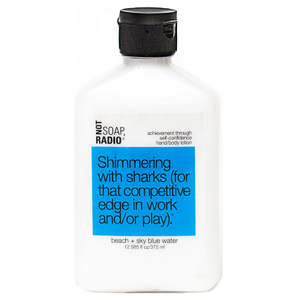 This helps sooth any skin irritation and also helps sunburn. Sage is also an active property found in this product which relieves the symptoms of eczema and psoriasis. Not Soap Radio, Liquid Freud (When You Need To Turn Up The Volume On Your Inner Voice Of Reason) exfoliating scrub is perfect to use before shaving or to massage onto damp skin. Take a step back and relax in the sweet smell of Coconut milk, mango and vanilla and feel the power of sea sand and pumice which boosts circulation, removing dead skin cells making your skin feeling smooth and cleansed. In addition, St John’s Wort which is a natural anti-depressant has been added as it helps balance and calms your mood leaving you and your skin feeling calm.